This classic Colonial plan has a modern twist with a beautiful open floor plan and attached 2-car garage. This large family home contains 4 Bedrooms, 2 1/2 Baths and 2624 sqft of living space. This flexible plan has plenty of room for expansion in the 3rd floor walk-up attic! It is designed to have dense-packed cellulose insulation, triple pane windows, heat pump, HRV/ERV and recycled and local materials throughout. We can adjust all the plans to fit your personal preferences and needs. 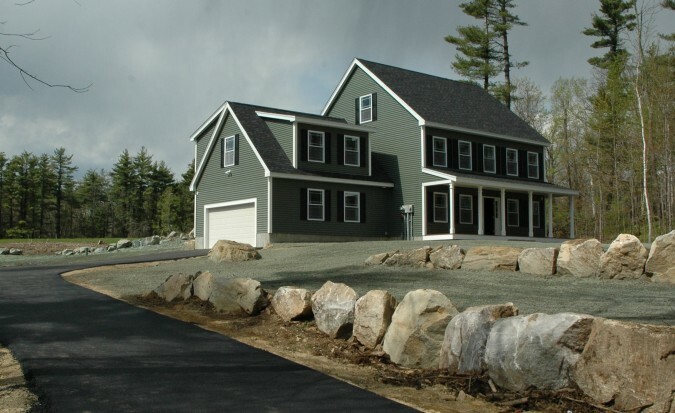 Connect with us by phone 603 – 303 7206 or use the contact form below to discuss pricing and how we can help you build this home.